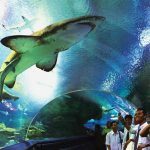 Diving will definitely be something that you must try when coming to Thailand, because it is simply a totally different way for you to explore the world. 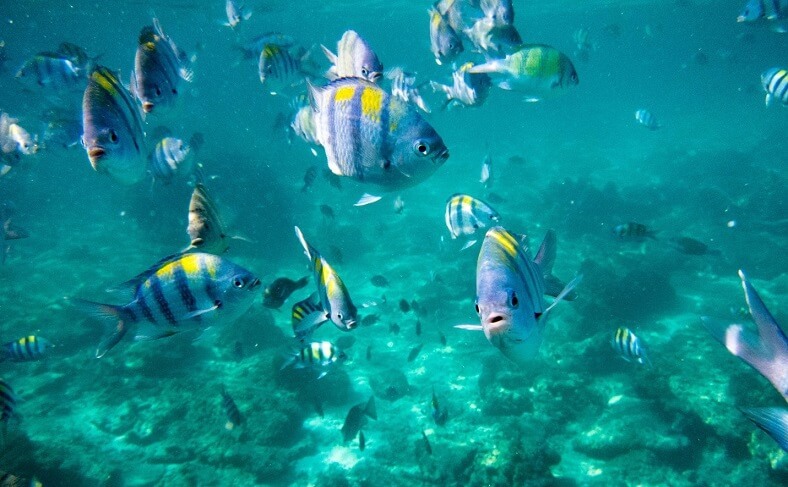 Thousands of fishes moving around and the colorful coral reefs make scuba diving one of the best sports that you have ever experienced. Ocean takes more than 70% the surface of the earth, and if you have a desire to explore that major part of the world, you will probably have to learn about it. Koh Tao is one of the best places for this sport, especially to take the diving certificate. Thailand has many magnificent diving spots located mainly in the South. Among several famous and beautiful islands of Thailand, Koh Tao is known as a very popular destination for exploring the sea and learning how to dive. The island is not too big but it has more than 25 diving spots for both professional divers and beginners. Many diving training centers will be ready to welcome you here, and most of the diving spots are no more than 18m deep. 18m is the maximum depth for level 1 diving certification. 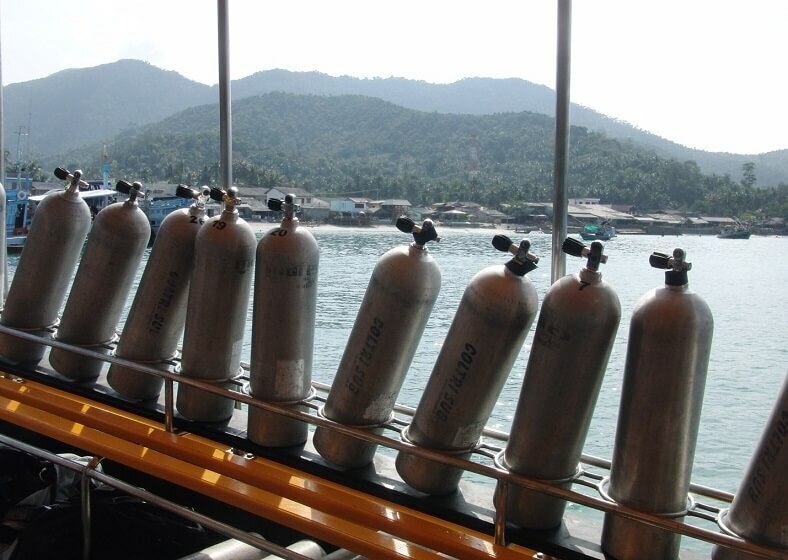 Koh Tao has more than 50 diving centers, and the price competition is extremely hard. This makes the island one of the cheapest diving certificate providers all over the world. However, how to choose the best one among plenty of options? The information below could help you. 1. Is the price justified? A typical PADI course should not cost more than 9,000 baht with no accommodation, or 11,000 baht for a course with accommodation. 2. Are the staffs reliable? A professional center usually has a team of staffs who are extremely fluent in using English. They could provide you valuable information and are very friendly and polite. 3. How is the scale? A perfect class should have no more than 4 learners to make sure that everyone could absorb adequate knowledge and necessary skills. Diving is one of the ways for you to directly get approach to the nature. Sometimes, in a diving spot, unfortunately, you might witness the pollution. That is why local residents in Koh Tao have awareness about the environmental problem. Many diving centers have been contributing to the environment protection. Besides creating valuable training courses, they are also concentrating on projects which aim at protecting and preserving the coral reefs. Therefore, Koh Tao will be well protected generations to generations. Furthermore, the centers also cooperate with a club named “Let’s protect Koh Tao”, a non-profit organization created by the government which focuses on preserving natural resource and traditional culture. 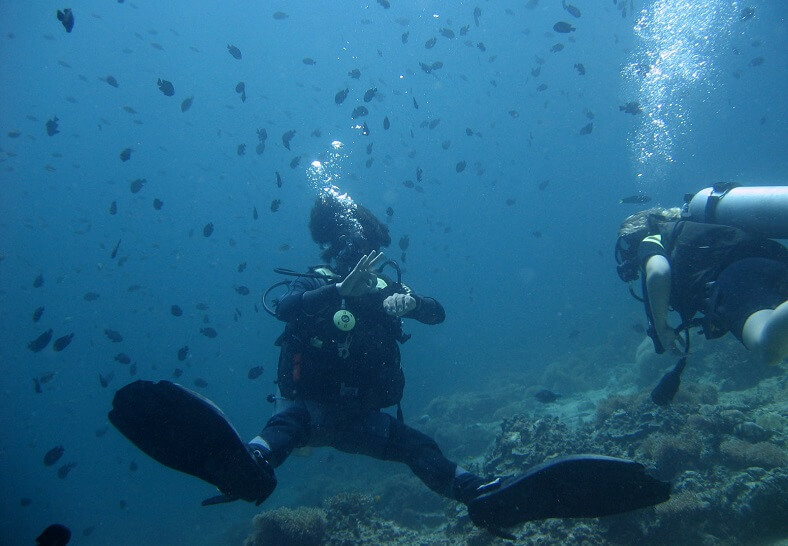 By taking a diving course, you can have a totally different view about the nature. 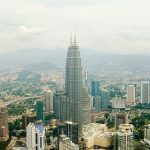 Witnessing beautiful creatures moving around and the magnificent world under the sea will be one of the best stories that you will tell your friends and relatives when coming back to your home from the paradise in Southeast Asia.